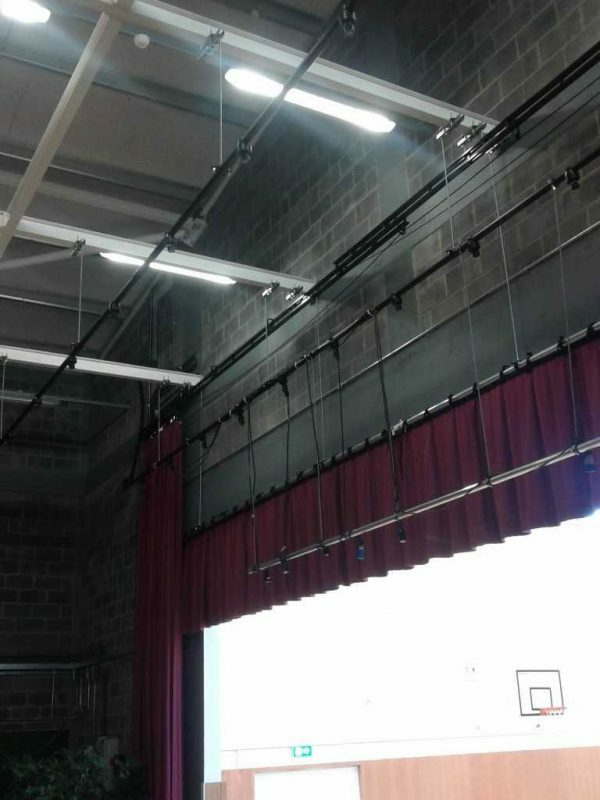 Cine Electric were tasked to provide a solution for a FOH lighting position along with its cable management, Internally Wired Bars (IWB) over-stage, a FOH Track & Drape as well as a small DMX Network for The Teresian School in Dublin. 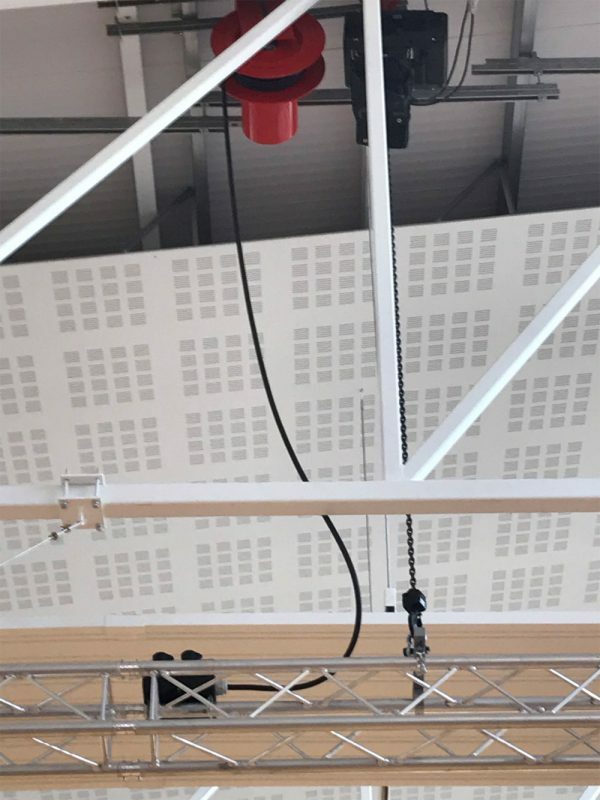 A 12m FOH Truss was installed on 2 No. 500kg Double Brake Load Guard hoist controlled via a Guardian Control System with the cable management being done via 2 No. 18 slip ring inertia reels. Over the stage 3 no. 12 -way 12m IWBs were installed and wired back a socapex patch panel. 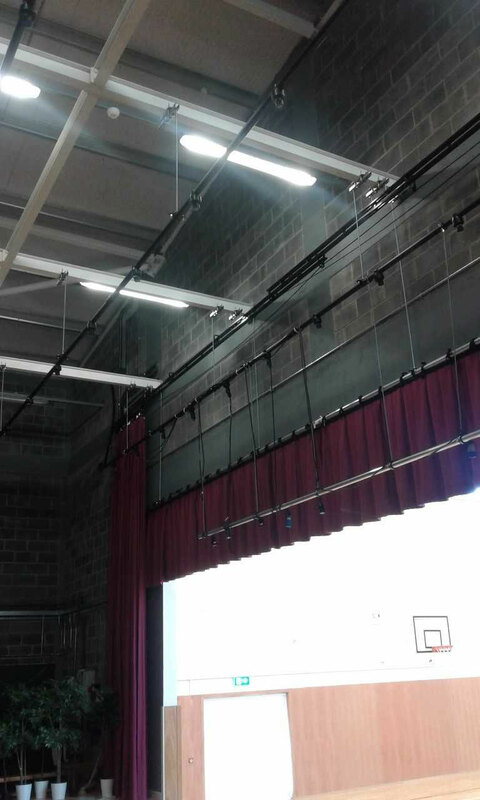 At each IWB there is a DMX outlet that is wired back to a DMX Splitter as is the Input located within the hall.